Get more for your money from this comfortable, good-looking utility pant. It's built of sturdy fabric for hard wear and easy care. The flattering flat front looks sharp wherever work takes you--field to the office, back shop to the back yard. Tradesmen swear by the 874's comfort and durability; office guys praise the look, fit, quality, and price. The 874 is comprised of Heavyweight 8 1/2 oz. 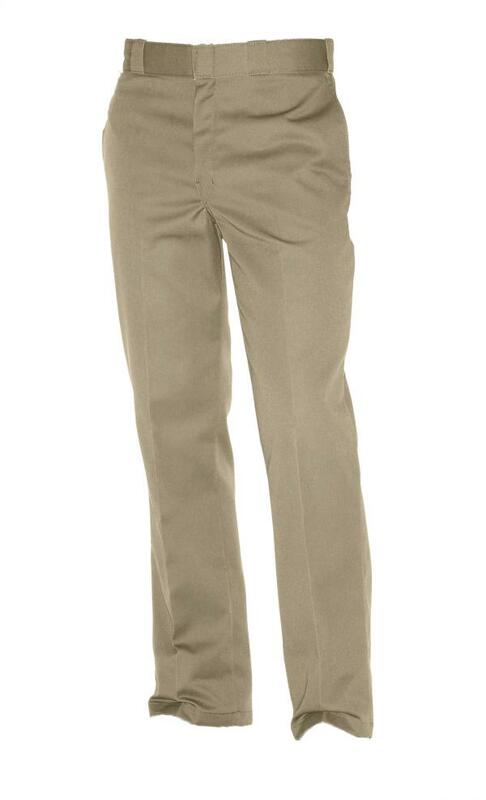 twill of easy-care and 65% polyester/35% cotton. Please Note: UU and UL both mean the pants are unhemmed. UU is unhemmed to 37" and UL is unhemmed to 39".